West Coast Safes has delivered and installed 1000’s of safes and gun safes in Los Angeles County and the surrounding Counties of Riverside, Orange, San Bernardino, San Diego, Ventura, Santa Barbara, Kern and San Luis Obispo County. 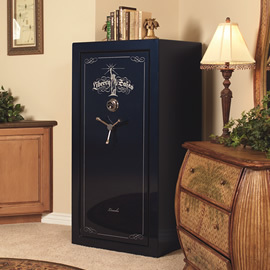 With our high volume of sales throughout Southern California, West Coast Safes can not only provide you with great safes at great prices, but a complete installation of your safe and not just a curbside drop that requires you to move and install your safe on your own. When West Coast Safes delivers a home or office safe to your home our professional delivery teams will install, level and bolt down your safe for one low price. When we leave your home or business, after your delivery, you will feel the peace of mind only a properly installed safe can provide. However, if you would like to install your safe by yourself, you can always pick up your safe at our warehouse or showroom or we can make arrangements to ship your safe anywhere in the United States.